Phantasmat: Death in Hardcover is rated 3.6 out of 5 by 8. Rated 5 out of 5 by netnanna from Boy oh boy !! Phantasmat has returned in all it's phsycho glory !! Nowhere near finished the game, but I just had to give you a nudge to at least try it, if you liked the first game, you'll enjoy this one too !! 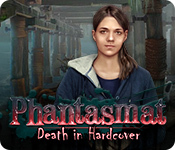 Rated 5 out of 5 by biscuitsmama from DEATH IN HARDCOVER IS EVERYTHING THAT PHANTASMAT SHOULD BE To be truthful, I lost interest in the Phantasmat series long ago and didn’t even purchase the last game – one of the few that I haven’t since the CE version of games was introduced. With this being the third Phantasmat game released this year I didn’t hold out hope that this would be a good game but what a surprise when I played the demo and found Phantasmat Death in Hardcover to be an excellent game. There is no need for me to recap the storyline, which by the way, I found to be excellent and thrilling. It was a storyline that held my interest from the very first scene as I tried to find out why this madman was targeting me and putting my family at risk. What made Phantasmat Death in Hardcover such a great game? Aside from the well told storyline, what really grabbed me were the very creative HOP scenes. Those scenes were excellent and sometimes challenging with one of them having me a bit confused until I figured it out. 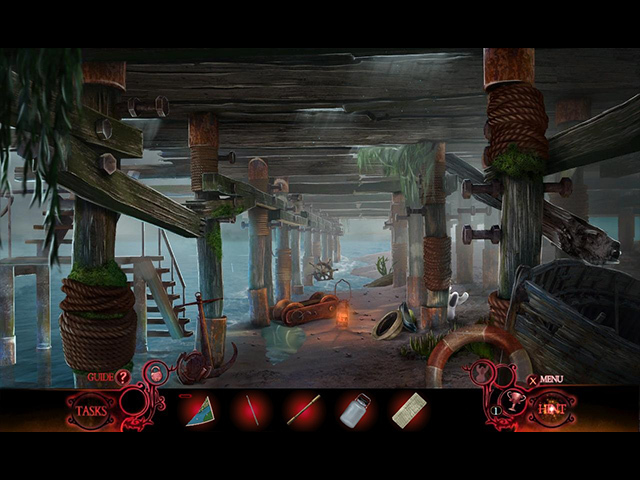 The puzzles are terrific and some seemed quite challenging at least for me. Although I am not a fan of the thriller theme in HOPA games, Death by Hardcover gripped me from the very beginning. 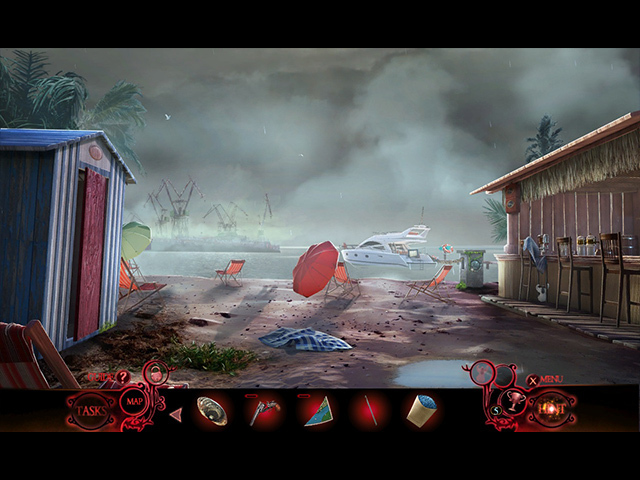 As I played there were times I was on the edge of my chair but I still couldn’t stop playing since I had to see how this all ended and if Marcia would be able to rescue her family. This game is fairly intense and one that might not be appropriate for all members of the family. For once, all those warnings that we see in games, really is true. 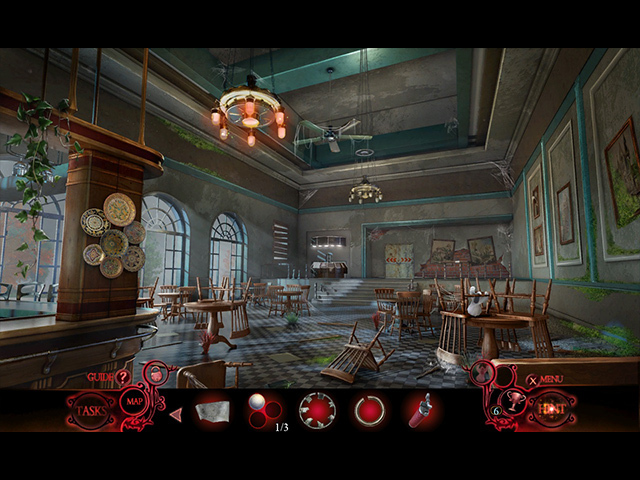 If you are able to handle an intense psychological thriller, then you will most likely love this game. Many gamers, I am sure will agree that this is the game we have been waiting to see: a game that is designed for adults and one that elicits a range of emotions while playing. EIPIX did an amazing job with this Phantasmat that, IMHO, would definitely qualify as a candidate for game of the year. Congratulations on an excellent game! Even though I really found this to be an incredible game, PLEASE try the demo to see if Phantasmat Death in Hardcover is a game you will enjoy. Rated 2 out of 5 by cathybobcat from DEAD.....AND SHOULD BE BURIED Another poorly constructed and SHORT game. One of the worst aspects is the horrid graphics.....haze and fog....a lack of clarity in scenes causing eye strain and nausea. How is not being able to see clearly in a game enjoyable? It isn't. If that isn't bad enough, this is a very depressing story with an ending that is no ending at all. What was that all about???? If I read a book like this, I would take it back for a refund. Much of the time is spent with time consuming puzzles, some of which I did enjoy....BUT....if you don't do puzzles, then you could probably finish this in an hour because there are too many puzzles making this seem to be a longer game than it really is. I think that is why they do it. The HOS are very poorly done, hard to see....too many small box ones that you can finish in 5-10 seconds. This, the short length, number of puzzles and depressing story... and the extremely inferior graphics make this a loser of a game. DOA...that's dead on arrival.